Printronix is the leader in enterprise printing solutions for the industrial marketplace and distribution supply chain providing network integrated multi-technology printers to businesses worldwide. Printronix is the acknowledged foremost supplier of line matrix printers and an innovator in continuous form laser printers and thermal bar code label printers. Printronix also has become an established leader in pioneering technologies, including radio frequency identification (RFID) printing, bar code compliance and networked printer management. Worldwide, Printronix employees are represented in the United States and 11 other countries. In addition to its corporate offices in Irvine, Calif., Printronix also has facilities in Europe, Singapore, China, India, Korea and Australia. Printronix technology is sold under private label to the major computer systems providers and is available under the Printronix brand name through full-service distributors and value-added resellers. T4M provides uncompromised performance and features with the same PSA3 advanced electronic architecture found in the high performance T5000r. Install the T4M seamlessly into other printer brand environments using the widest breadth of embedded printer protocol interpreters. The T4M maximizes productivity and offers flexibility to grow with changing requirements. 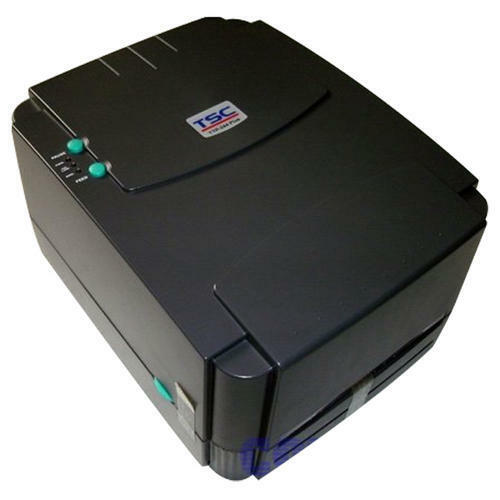 TSC is one of the fastest-growing companies in the Auto-ID industry, offering a diversified line of rugged, competitively priced thermal bar code printers to customers worldwide. Since our launch in 1991, we have supplied more than 1.5 millions label printers to the Auto-ID market  a testimony to our emerging leadership in the global marketplace. 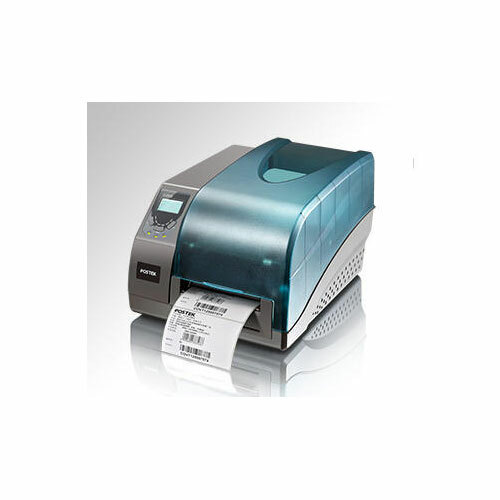 There are plenty of cheap plastic desktop label printers available on the market. 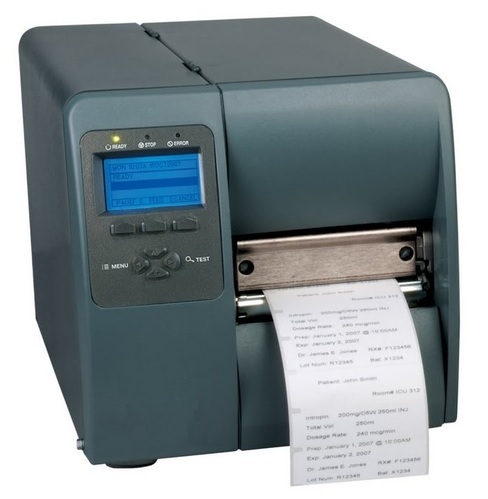 But the TTP-244 Plus thermal transfer bar code printer is the only inexpensive solution that offers a powerful processor, generous memory, internal scalable fonts and the worlds most popular bar code printer language emulations in one small package. 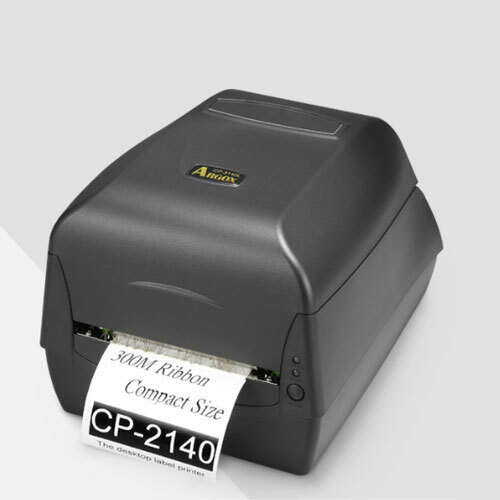 With its small, compact footprint and dual-motor design, the TTP-244 Plus is perfect for a wide variety of label and tag printing applications  everything from shipping labels to compliance and general purpose product-identification labels & tags. Tharo Systems, Inc. has been a world leader in the Automatic Identification Industry since 1982. Tharo is the author of EASYLABEL® software, the best selling, most powerful label design software on the planet. There are over 96,000 copies running in almost every country in the world. Tharo has extended its expertise into the development of the Heavy Duty H-Series and Value Priced V-Series thermal transfer label printers. These printers are simply the best price versus performance printers available. 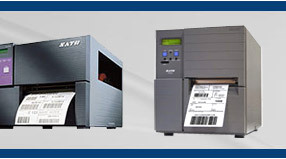 Tharo Systems also manufactures the Tharo PA2000 and PA1200 Series of Label Printer/Applicators. Tharo is a distributor of Datamax thermal transfer printers and is one of the largest DNP® thermal transfer ribbon distributors. Tharo Systems' products are being used by hundreds of thousands of companies worldwide. We hope that you will join us as one of our satisfied customers. The new THARO H-400/H-600E Series printers have an elegant design, are extremely compact and are robust enough for commercial use. They feature a durable, all metal construction with a cast Aluminum center wall and a large media window for easy viewing and monitoring of supplies. Now available in 4 inch (H-400) or 6 inch (H-600E) print widths! Print in 203 or 300 dpi resolution with the same H-400/H-600E Series printer. Simply install a 203 dpi Printhead or a 300 dpi Printhead without using tools or making configuration changes. The H-400/H-600E Series printers are extremely versatile. No PC is necessary. Download your label formats to the Printers Flash Memory (or a CompactFlash Card), unplug the printer from the PC, plug in a standard PC keyboard, and take the printer to another location. 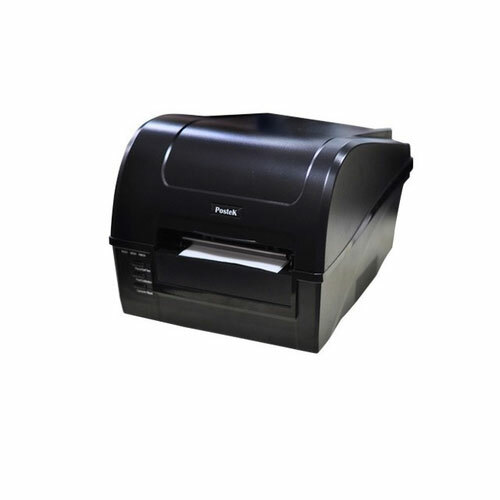 The H-400/H-600E Series printers are extremely easy to install options, accessories and to service. The H-400/H-600E Series printers feature a 450m (1476) ribbon capacity and a full 203mm (8) O.D. label roll capacity making them suitable for large volume printing requirements. 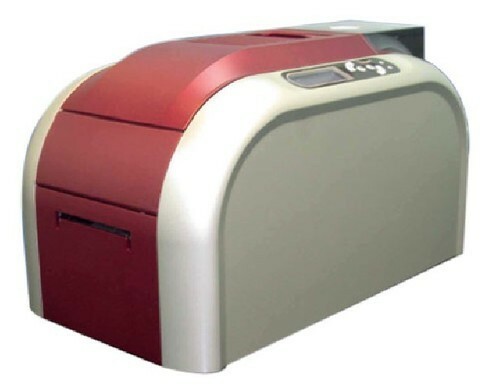 The H-400/H-600E Series printers are designed to accept ribbon types of both ink inside and ink outside, providing more flexibility in ribbon selection. 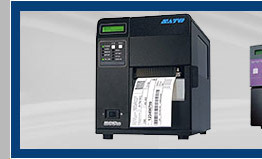 The H-400/H-600E Series printers feature a Standard Real-Time Clock for time and date stamping of labels. The H-400/H-600E Series printers have multiple interfaces for every application. Blazing fast USB 2.0 is standard on the H-400/H-600E Series printers for high-speed data transfer. Parallel and RS232 Serial are also included, or use the optional Ethernet Adaptor to print to your H-400/H-600 from anywhere in the world! Print from Windows, UNIX, Linux or Mac! CUPS (Common UNIX Printing System) Drivers and Windows Drivers are included on the Printers Accessory CD. The V-Series Plus feature a small footprint to fit your work environment. Direct Thermal and Thermal Transfer modes are both standard on the V-424 and V-434 giving you the option to choose. The V-Series Plus is extremely easy to service and install options and accessories. Options for the V-424 Plus and V-434 Plus include: a cutter, an internal Ethernet Adapter Card, a wireless Ethernet Adapter, a Stripper Module to sense printed labels in strip-and-peel applications and a Compact Flash Expansion Slot with Real-Time Clock. High Quality Id card printer with 300 DPI resolution. 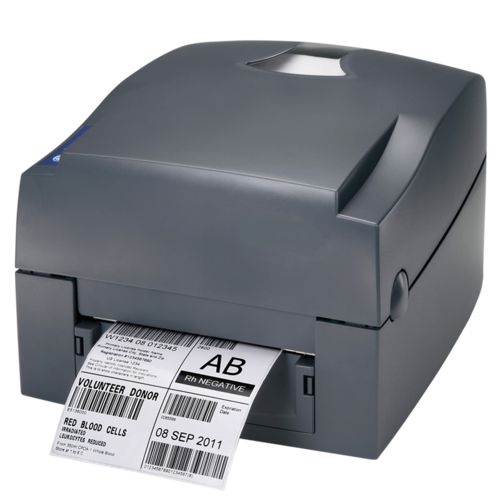 TSC is one of the fastest-growing companies in the Auto-ID industry, offering a diversified line of rugged, competitively priced thermal bar code printers to customers worldwide. Since our launch in 1991, we have supplied more than 1.5 millions label printers to the Auto-ID market – a testimony to our emerging leadership in the global marketplace. World's No. 1 Print Head. Two Year Warranty on Printer. One Year Warranty on Printer Head. DIP Switches for Various Settings. 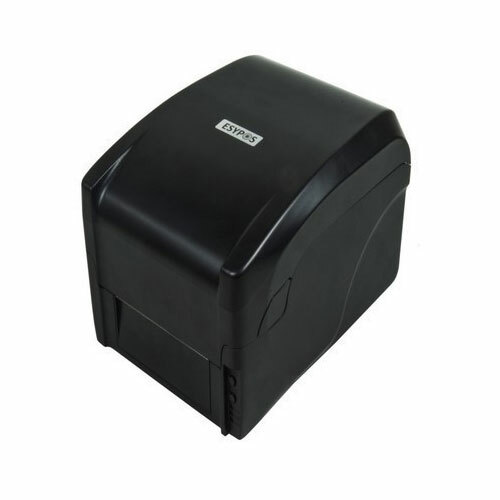 Free External Stand to accommodate Larger Label Rolls. Free Licensed Software is provided with complete ODBC(Open Data Batingsse Connectivity). 600 dpi, anti-static printhead ensures continual fluent high-quality printing. Compact size and 300M ribbon capacity. A variety of paper sensor system for diverse applications. Ribbon wound ink-side out or ink-side in available. Module design and easy maintenance. Supports 1D/GS1 Data bar, 2D/Composite codes and QR barcodes, and windows true type font download available. Leveraging on the competence of our capable and dedicated workforce, we have brought forth a wide and exceptional class range of Zebex-Z-1071 Portable Data Collector. 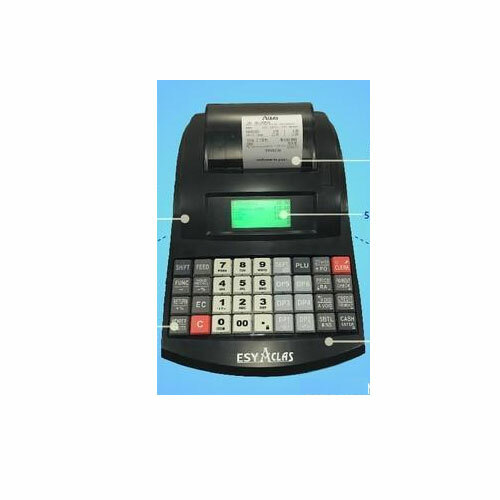 The Electronic POS Cash Register is one of the Fast moving Compact Elctronic Cash Register in the Market.Its Small in Size but BIG in function! Absolutly suitable for small & Medium retail shops.It allows customers to use smallest counter space to realise most demanding functions.